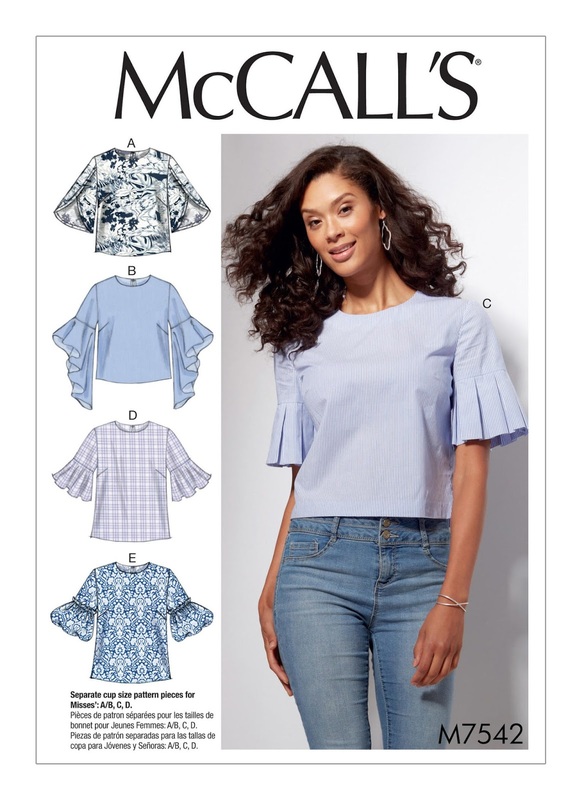 McCall's is running an online contest where contestants are challenged to create pattern M7542. It is a simple basic bodice with several different versions of sleeves. In some circles, I have read that it is the "Year of the Sleeve." I thought it would be fun to participate so I made Version D with the flounced sleeve. I used a striped blue and white cotton shirting fabric. 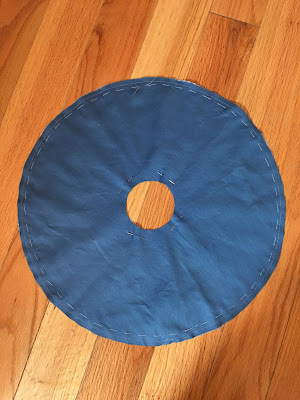 I decided to add my own little twist by lining the flounce in a solid blue cotton poplin. I also added piping above the flounce in the same solid blue color. 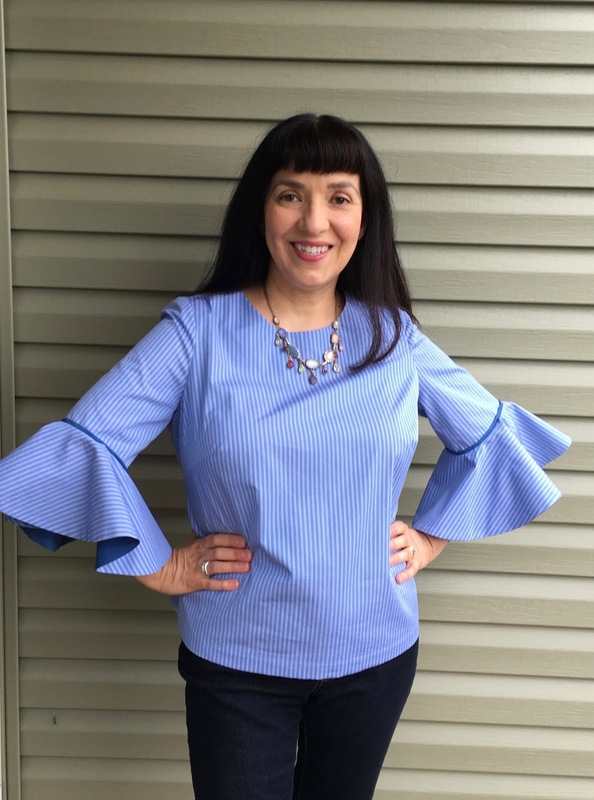 It's been some time since I have made a woven top (I usually prefer knit tops) and I do need more tops in my wardrobe so this contest was just what I needed to get me working on another top. The pattern's bodice has a boxy shape which I normally avoid but I do like how this top turned out. I hand basted them right sides together and machine stitched with a 1/4 inch seam allowance. I hand basted because I wanted to make sure the pieces did not shift as I handled them. Using the 1/4 seam allowance meant I did not need to trim the seam allowance and it would make it easier for me to press the seam open. The trickiest part was pressing the seam open. 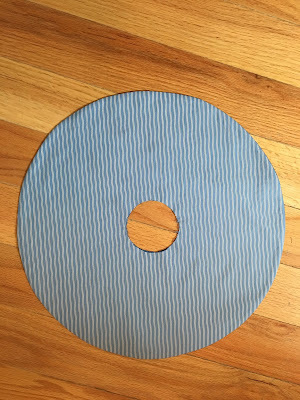 I pulled the circles apart at the small center opening and inserted my Dritz seam roll. 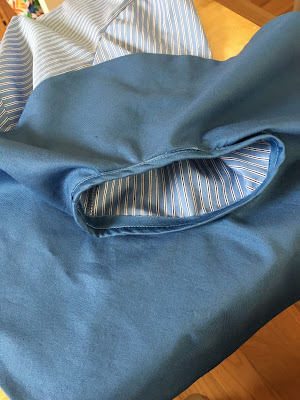 I placed the seam over the end of the seam roll and pressed with a steam iron 2 inches at a time. I did not worry about wrinkling the rest of the flounce. I could always press out any wrinkles later. For this important step, what mattered was making sure the seam was pressed open. 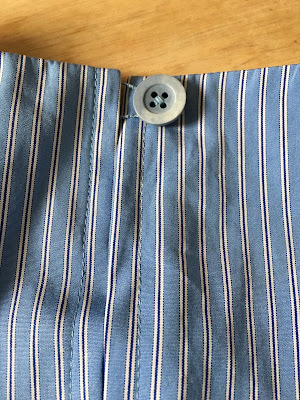 Once all of the seam allowance was pressed open, I turned it inside out from the center opening. 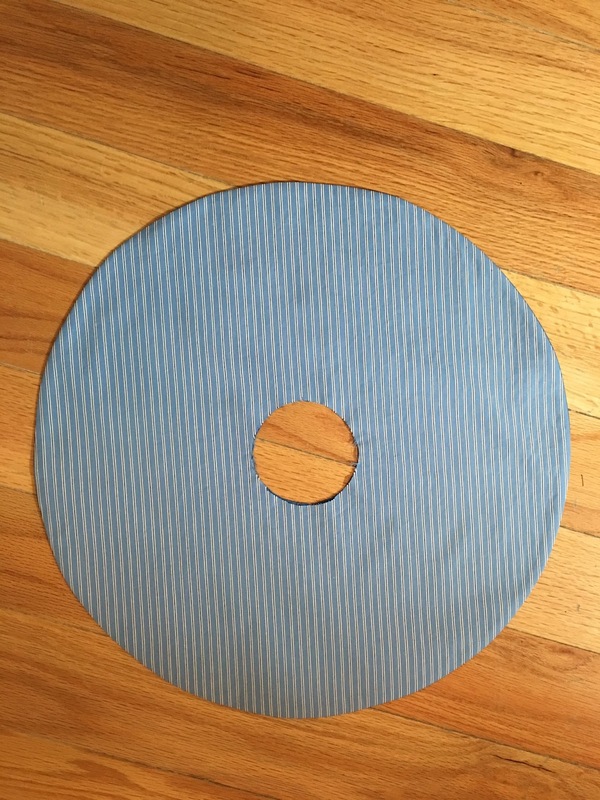 I pressed the edge flat making sure that the edge did not favor one or the other side of the fabric. I basted the center opening closed and continued with constructing the sleeve treating the flounce as one. Once the flounce was attached to the sleeve, I pondered how to best finish the inside. I could serge it but I did not want the serged edge to show when I lifted my arm or should the wind blow. 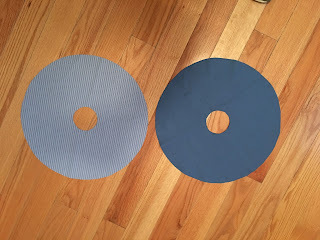 My solution was to cut a bias strip and bind the raw edge. For the back closure, the pattern's instructions tells you to use a hook and eye. However, I thought using a button and thread chain would create a more polished look. I used a light blue button I found in my stash but I may change that in the future. 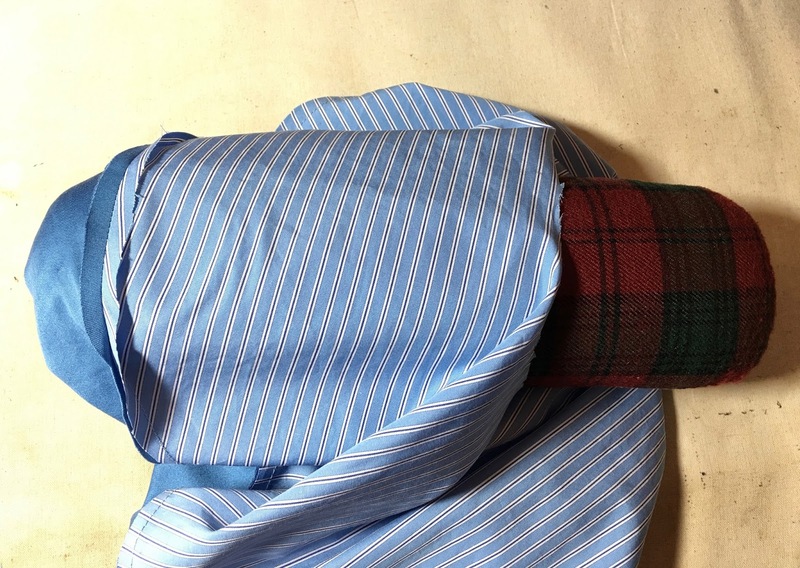 The cotton shirting has a very tight weave which made it difficult to ease the sleeves. There is one sleeve I am not completely happy with so I will unstitch and re-attach that one (the left one). 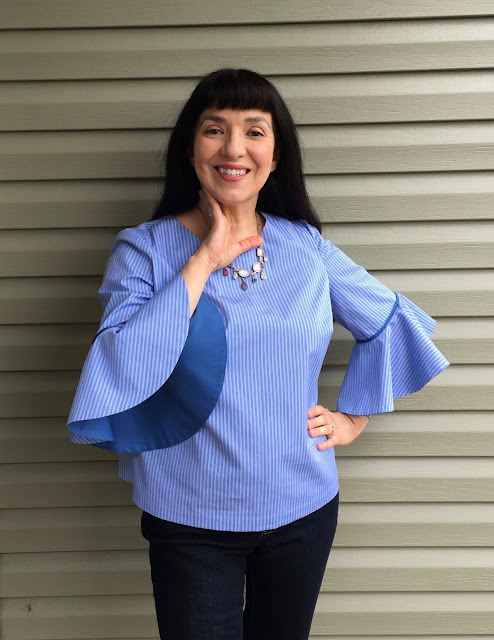 I did not have time to finesse the sleeve because the deadline to enter the contest was today, May 7, and I needed to finish in enough time to have photos taken before my photographer had to leave. I may make this pattern again with one of the other sleeves. Perhaps I will make it in another cotton shirting or a fabric with a looser weave. I may also add waist darts for more shaping but I will do so only if I use a solid color fabric or a busy all over print. The options are endless and that's what so great about sewing!